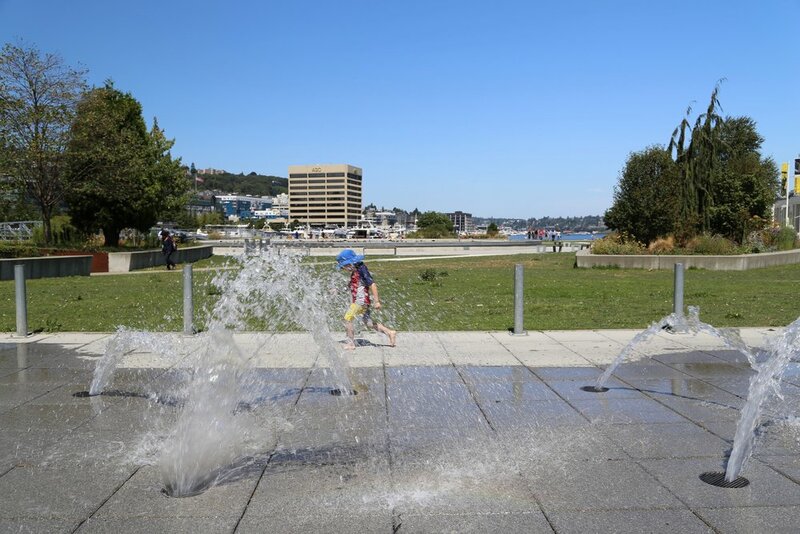 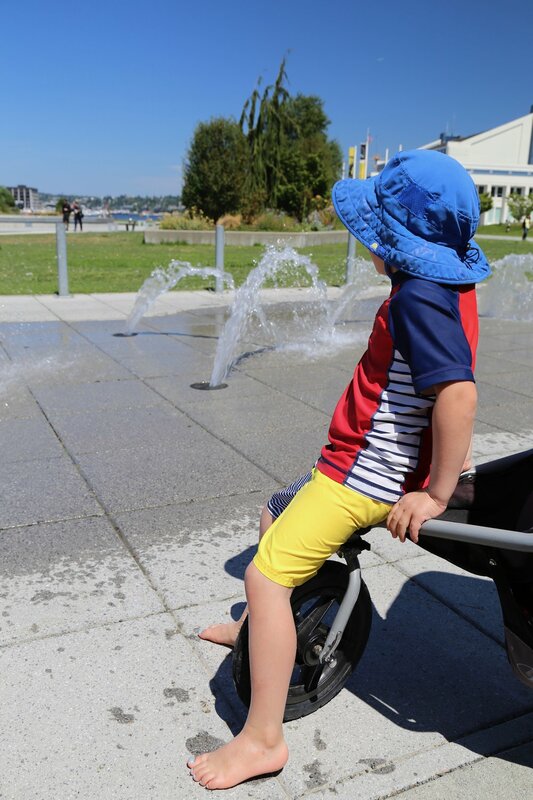 Sure we live near arguably some of the best parks in the city, but there is a great little splash pad in South Lake Union we often find all to ourselves. 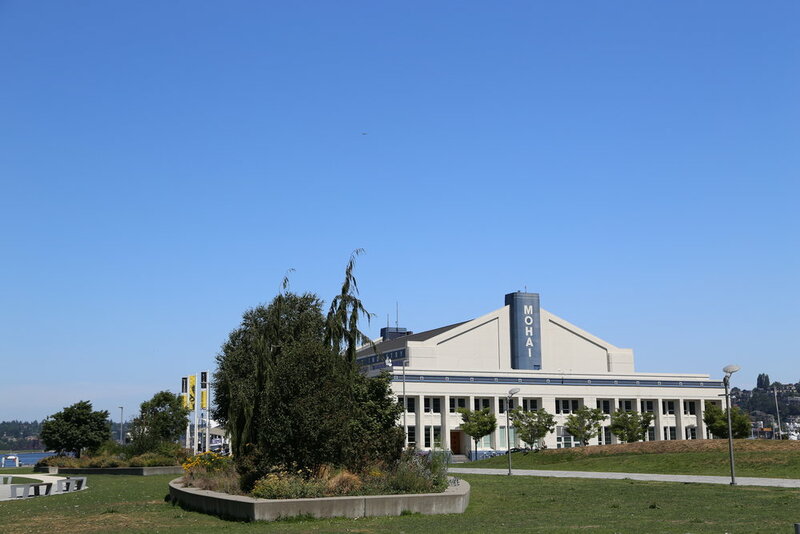 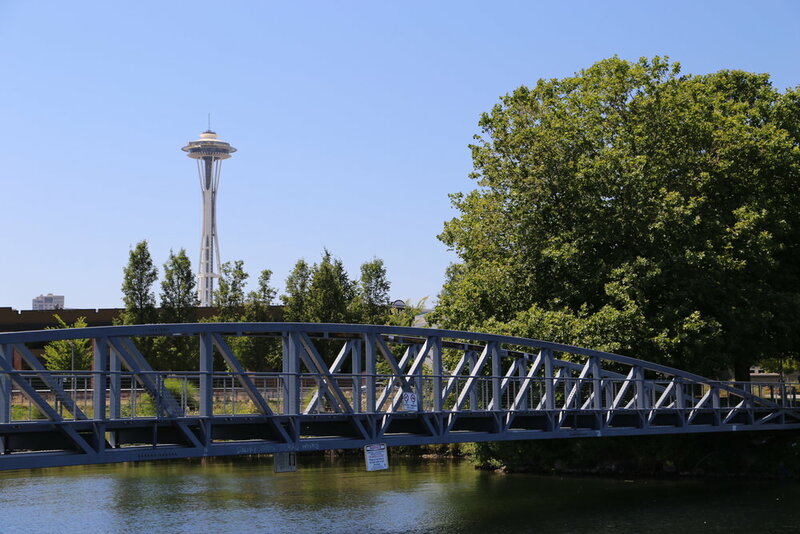 It is located near seaplanes taking off and landing and has a direct view of the Space Needle. 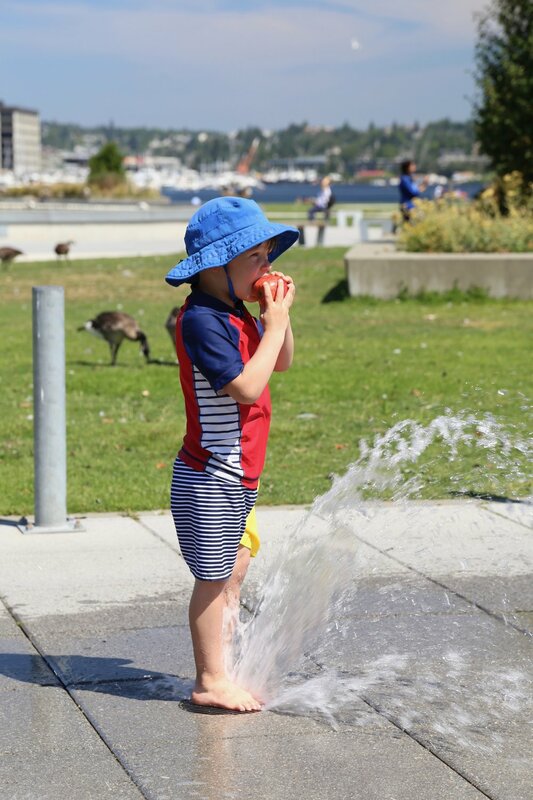 I love finding little pockets of green space in the city and a change of scenery is always invigorating for the soul. 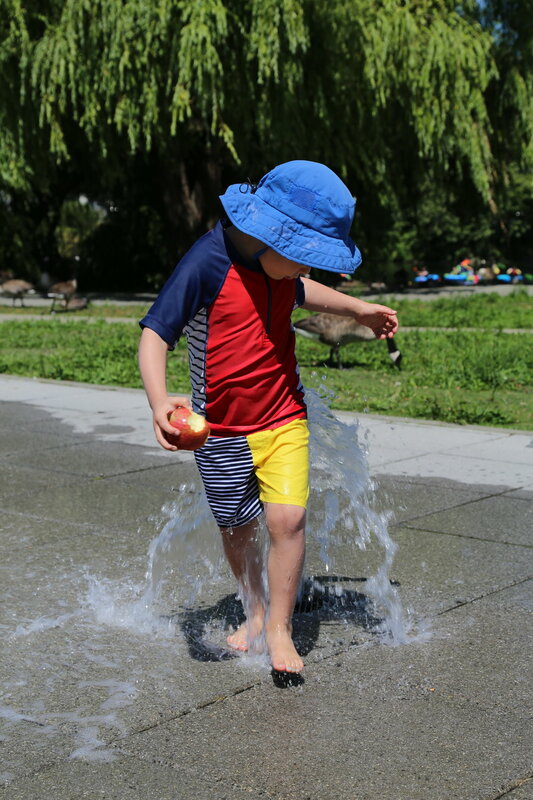 The splash pad is open daily 11-8pm. 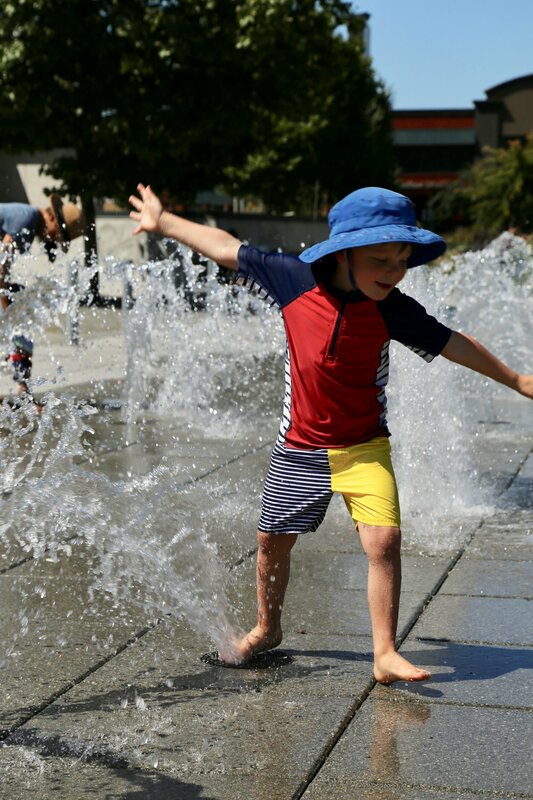 Here are some other fun splash pads in and around in the city.